Paul Chipperton is an award-winning serial entrepreneur in the Tech industries, and comes with a proven track-record of “start-up” successes, most notably as 2008 co-founder and CEO of Profound Medical Inc., a prostate cancer medical device company. As CEO he raised >$16M of venture capital financing, and the company subsequently went public on the TSX Venture exchange (TSXv:prn) in 2015. Under his leadership, amongst other garlands, the company also received the prestigious Ontario Premier’s Catalyst Award for “best start-up” in Ontario. A >20-year veteran of entrepreneurial financing, he has raised capital at almost every stage of a company’s growth cycle, from recent crowd-funding and “friends & family” rounds in the tens of thousands, all the way through to Canada’s largest Medtech Series-A VC syndicate for C$10.3M in 2011. 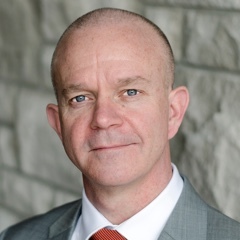 Paul also serves as an independent strategic reviewer to the Canadian Federal Government's Atlantic Innovation Fund (AIF). He is a board member and/or advisor to several private companies, including Intronix Technologies and Viryl Technologies. 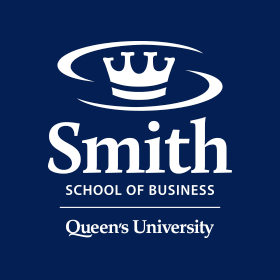 For Smith School of Business at Queens, he is a part-time author and lecturer on 4 MBA & BCom courses on the topics of Strategic Innovation, Venture Finance, Entrepreneurship, and Marketing, as well as previously being the faculty’s representative on the Scholarships & Student Aid Committee. He currently serves SSB as the Faculty representative on the Senate. He received a BSc in Applied Chemistry from University of Northumbria in the UK, and an MBA from McGill University.